In 1961, the Union government started five sainik schools in Maharashtra, Haryana, Punjab, Gujarat and Rajasthan to encourage students from ordinary families to join the armed forces. The opening of the schools was to correct a 'disturbing' trend that the government had discovered in the recruitment of military officers. Most officers were either from elite schools or belonged to certain regions and so-called martial races. The government felt the lack of facilities in schools was the reason behind poor representation of various regions in the higher echelons of the Army, Navy and the Air Force. To bridge this gap the government decided to set up onesainik school in each state to act as a cradle for the armed forces. Students or cadets of these institutions must join the National Cadet Corps during their schooling from Class VI to Class XII. Those who receive scholarships must avail all chances to clear the National Defence Academy examination. They are required to appear for tests, interviews and medical examinations at the Services Selection Board or other military training institutions. It has been 55 years since the government started the first sainik school, but it is yet to open one in each state despite an alarming shortage of officers in the armed forces. There are around 24 sainik schools in 21 states. The last two schools came up in Chhattisgarh in 2008 and Haryana in 2009. Before that, the government took 25 years to open two sainik schools in Bihar in 2003. The government has now given an approval in principle for sainik schools in the Amethi, Jhansi and Mainpuri districts of Uttar Pradesh. Arunachal Pradesh and Mizoram will also get one school each. Two schools in Rajasthan and one school Uttarakhand have also received clearance. Similar proposals from Assam, Odisha and Madhya Pradesh are under consideration. "The states have identified land and we have held meetings with the ministry of human resources development," said a state government representative who flew to New Delhi to join discussions with Human Resources Development Minister Smriti Irani. A senior officer in the Union government said Bihar, Haryana and Karnataka had two sainik schools each, but some states were not interested because of the financial obligations and the lack of suitable land. "The sainik schools have not been able to meet the main objective of removing the regional imbalance among officers of the armed forces, particularly when the most populous state of the country Uttar Pradesh does not have one," the Standing Committee on Defence, which reviewed the functioning of sainik schools, noted in its report to Parliament last year. The cost of setting up the basic infrastructure for a sainik school is Rs 50-70 crore, beside the cost of land and annual operational expenses. The same report said around 900-1,000 students from various sainik schools competed for 640 posts of the NDA. Their success rate was around 20 per cent, close to the 18 per cent of the five Rashtriya Military Schools set up before 1961. The difference between the two institutions is that the first is jointly run by the central and the state governments with 67 per cent seats reserved for the boys of the respective state, and 25 per cent seats are for the wards of defence personnel and ex-servicemen. 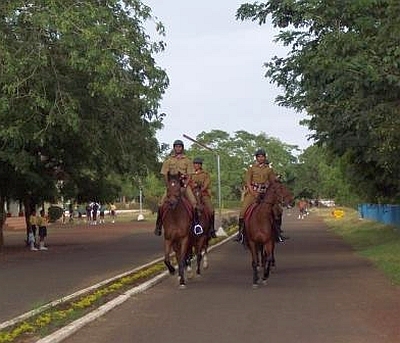 Rashtriya Military Schools are run by the Army, with 70 per cent seats for the sons of JCOs and other ranks. The rest are children of civilians and officers. Till now more than 7,000 cadets from 24 sainik schools have joined the armed forces. Current Army Chief General Dalbir Singh Suhag is a student of the school at Chittorgarh. Other noted students are former Indian Air Force Chief P V Naik, former Army Chief General Deepak Kapoor, former Haryana Chief Minister Bhupinder Singh Hooda and filmmaker Rakesh Roshan.